Built within 65,000 m� of gardens, Avra Imperial Beach Resort & Spa features a 1,500-m� pool area with a pool bar in the middle. The resort is 100 metres from Kolimvari Beach. 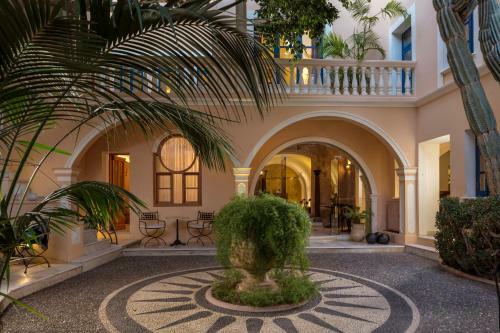 Situated in the heart of Chania�s charming old town, this authentic 17th-century Venetian mansion offers a personalised service along with a courtyard and rooftop terrace overlooking the town and the Venetian harbour. Offering a private pool, Villa Plumeria Flower is quietly located a few metres from Tersanas Beach. 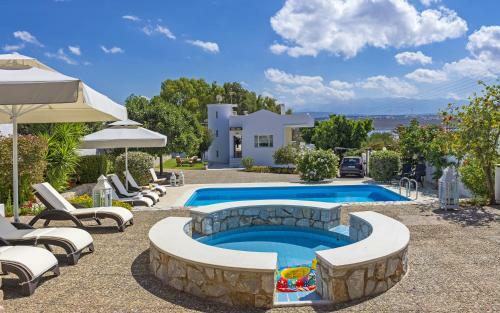 It features a fully equipped unit with Cretan Sea and mountain views. Facilities include free WiFi and a fitness centre. The 5-star Asterion Hotel Luxury Beach Resort & Suites is perfectly set on the sandy beach of Platanias, in Chania. It is located just 1 km from Maleme, 3 km from Platanias and 15 km from Chania. 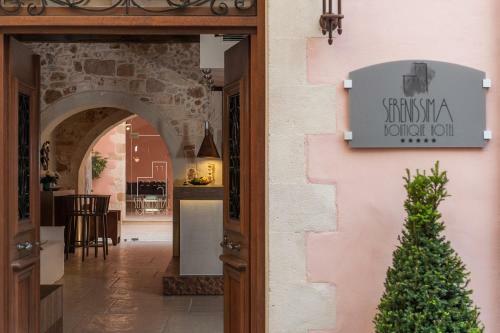 Serenissima is situated in a 15th century Venetian house in the scenic town of Chania 100 metres from the beach. It offers elegant suites with free WiFi 30 metres from cafes and shops. Located at Chania Venetian Harbour, Ambassadors Residence is a restored 1890�s house. It features elegant and individually decorated accommodation with free WiFi. Chania City Centre is a 5-minute walk away.